Feeling down and uninspired but don’t want to commit to a yearly membership? Drop-in and we will leave you feeling rejuvenated in order to tackle your day! Lasting change is attained through consistent change in mindsets and habits. Let our knowledgeable experts and tribe of inspiring members shape your way of thinking and let Unstoppable You be your newfound habit! Each meetup includes a 15-minute how-to video, and a guided meditation, movement, breathwork session that varies from week-to-week. We like to keep things fresh and exciting! We partner you with a like-minded member going through a similar Unstoppable You journey, so that you always have a little sherpa in your corner. 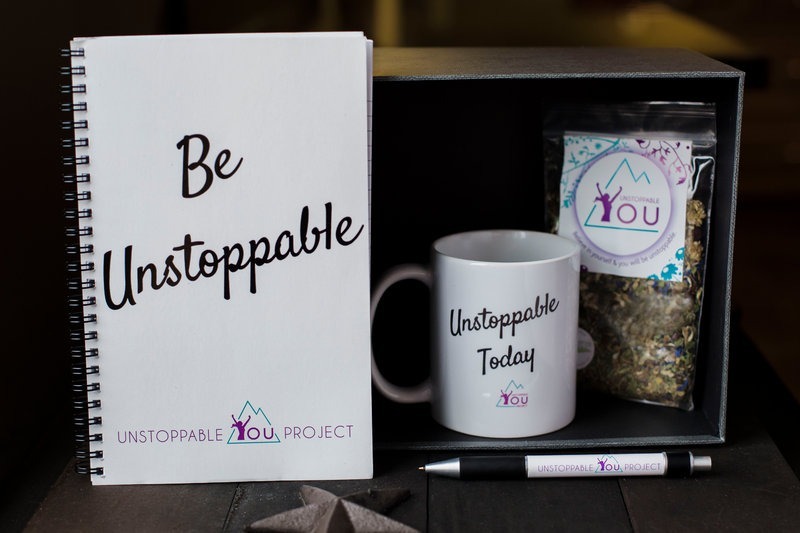 Kit Includes: an Unstoppable You mug, tea, journal, pen, MP3 meditations, mantra sticky notes, bracelets, and more! Networking and social bonding, with tasty refreshments and snacks to keep your body charged. Not a member but want your very own Unstoppable Today Kit, purchase it now for $49.99.